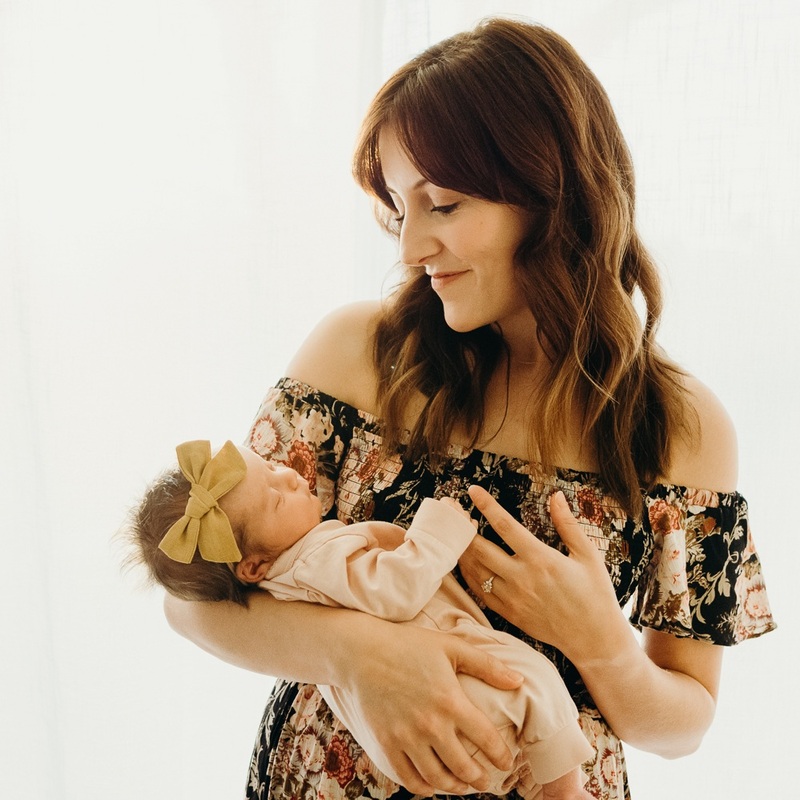 what I learned in my first year of motherhood. When I think back on that giddy and grateful mom propped up in the hospital bed holding her baby boy in one arm and a barf bin in the other, I can't help but smile. I had been a mother for less than an hour and was already struggling to find a balance between taking care of myself and taking care of him. My first year as a mother I learned all kinds of things. I learned how to swaddle and breastfeed and avoid getting peed on while changing a diaper. I learned how to use a moby wrap and a puj tub and a bumbo and a bunch of other words/things that made no sense to me prior to creating a baby registry. I learned how to survive on very little sleep and how to look relatively presentable without showering, skills that will probably serve me well for a while. I learned how to love my body again. And again. And again. I learned how to strap a baby in an ergo carrier using only one hand in the middle of a crowded parking lot. I learned how to handle a temper tantrum in Target and the importance of carrying an entire container of puffs on an airplane. I learned how to breastfeed in the car, in a restaurant, at a wedding, during church, on the beach, in a bathroom stall, and a variety of other places. I learned how to pee while holding a baby and how to wash my hands while holding a baby and how to cook pasta while holding a baby and how to send e-mails while holding a baby. I learned how to love my husband as a father. And can I just say....dang. Fatherhood looks good on him. I learned how to be patient when patience is absolutely necessary, and how to forgive myself for not being patient the rest of the time. I learned that I do have a threshold for the number of minutes I can listen to a baby scream before I start screaming myself. I learned how to make homemade baby food and where to draw the line with homemade baby food (see: pureeing ground turkey and/or meats of any kind ). I learned to trust my motherly instincts and not freak out when the doctor lectures me about growth charts. I learned to pay attention to the habits of my baby and the curves and marks on his little body. I learned that baby hernias are not exactly common, but can easily be fixed with a routine surgery. I learned to trust God (again) and trust doctors (again) and trust anesthesiologists (again). I learned how to love fiercely and wildly without expectations, how to give myself fully and wholly to the greater good of another person. I learned how to sacrifice my body and my time, day after day and week after week and month after month. I learned that it's really hard not to silently judge other mothers, but it's a task I am committed to carrying out. I learned that almost all of us---the biological and the adoptive, the breast-feeders and the bottle-feeders, the working moms and the stay-at-home moms---are doing the best we can. I learned that my friendships with other mothers are stronger, better, more vulnerable and more powerful when we both accept this truth. I learned that God is real and present and with me every second of every day, because without him, I never would have survived this year with a smile on my face. I learned that motherhood is hard, and that it's not for the faint of heart. I learned that motherhood requires bravery, selflessness, perseverance, courage, and creativity. I learned that it is entirely possible to spend a whole day with a baby, and miss him the second he goes to sleep. I learned joy. Real, un-fleeting, permanent, here-to-stay-forever joy. And above all else, I learned that God loves me even more than I love Everett---mightily, profoundly, perfectly, and unconditionally---a truth I never fully understood until this year. I have never been so grateful to be a child of His.